While Treetop Flyers have been on the periphery of my horizon over the last couple of years, seeing them live on this fairly low key date has sealed the deal with their impressive credentials. What unravelled during this hour long set at Birmingham’s Sunflower Lounge was an exceptional band making intelligent and articulate music modelled on the classic sound of soul infused rock. The debut album from this London based band created waves upon its release in 2013 with highly positive reviews from resected publications. Vivid comparisons of the West Coast sound are not difficult to detect on that record and the key theme two years on still has this feel to its core. So currently it is phase two for Treetop Flyers and the five-piece ensemble have lined up a handful of dates around the country to share some of the new songs wrapped around old favourites that made THE MOUNTAIN MOVES such a riveting listen. To say this Birmingham date was low key is almost an understatement, but enough folks hung around after a couple of local acts played a pair of half hour sets to give this tiny city centre venue a reasonable sense of atmosphere. Hopefully the eventual release of the album will inspire the team behind them to give the band a bigger push aiming for a larger platform to align with their talents. Either way being up close and personal was not a bad place to be in such an intimate atmosphere which enabled you to grasp the technical nuances of the band. 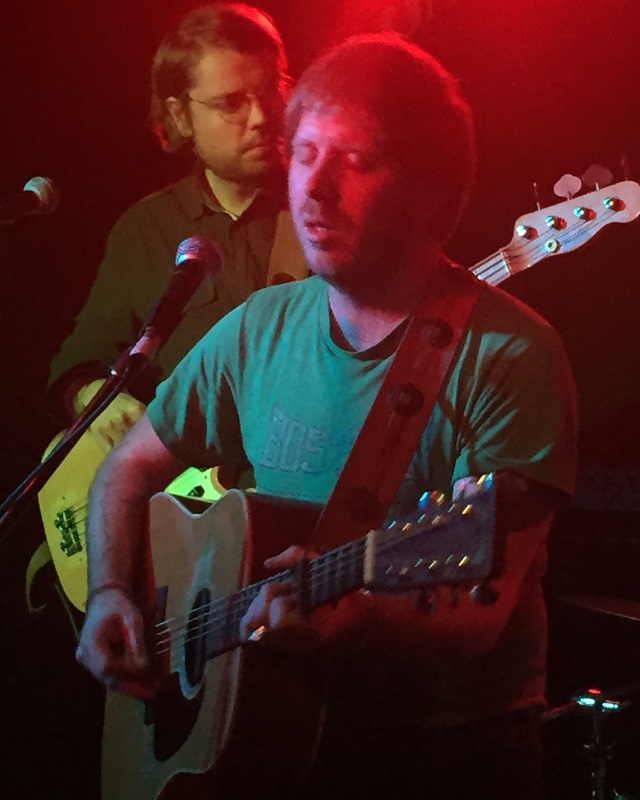 Treetop Flyers possess an inspirational front person in Reid Morrison who injects a deeply moving soulful streak into his vocals to aid the depth of sincerity in their songs. The substance of their sound is derived from the value of the band’s entity which fluctuates from a four guitar spearhead attack to a more diverse sound when Sam Beer commutes to the vacant keyboards. This diversity was further embedded when Beer took over the lead vocals from Morrison for one of the several new tracks presented in ‘Lady Luck’. This enabled a timely rest for Morrison who had just sent a shiver around the spine of the room with a soul searching rendition of another new song in ‘St Andrews Cross’. The guitar was ditched for this poignant moment as Morrison unearthed his emotive mojo to embrace the moving spirit of country soul. There is an indication of a switch to a more psychedelic sound from the evidence of the first new song earmarked for significant promotion. A rather visually bending video of ‘Dance Through the Night’ has just been uploaded on the usual channels and this infectious guitar led dance tune closed the set in the manner it has been designed for. A heavy bass part from the band’s newest member, Ned Crowther was one of the redeeming qualities of this track which also benefitted from substantial and memorable keyboard parts. Yes, it also got the feet of most folks moving. At this point it is worth commending the other two band members starting with lead guitarist Laurie Sherman whose passion for Black Sabbath was shared by Morrison to the approving locals. American drummer Tomer Danan completed the line-up and the cliché last but not least fails to do justice to the importance of the rhythm line. The band was firing on all cylinders by the time the second track ‘She’s Gotta Run’ had ended and another old favourite from the first album was gratefully acknowledged later in the set when the popular ‘Things Will Change’ was introduced. 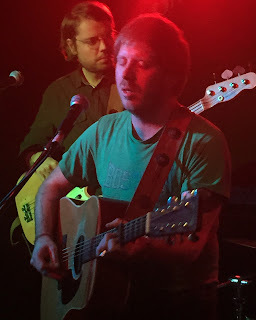 In the days before this gig, re-living the old album had become a regular occurrence, but the evening ended with major thoughts turned towards the new album. ‘Wild Winds’, ’31 Years’, ‘You, Darling You’ and ‘Falling Down’ are likely to be songs we will be hearing a lot more of in the future. 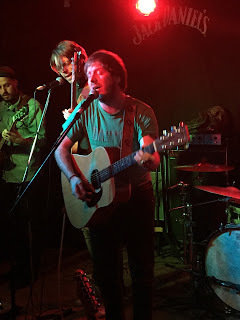 Having seen a previous Loose Music act in Dawes mightily impress on UK dates recently, there was more than a hint of similarity in Treetop Flyers which are set to be an integral part of the label’s future. The evidence on show tonight is that these five guys are going to be a force to be reckoned with and the promise of the debut album has been soundly built upon.